RIO DE JANEIRO — A handful of indigenous activists and researchers were celebrating a birthday huddled around a small pit fire when they noticed the flames devouring a building a few dozen yards away. 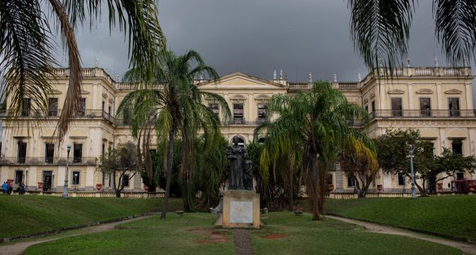 By the time they reached the centuries-old palace, home to the world’s largest archive of indigenous Brazilian culture and history, flames had gutted the building’s core and a dense column of smoke towered above it. Twice, Mr. Guajajara tried to run into the building and was held back by guards. After that, his friends restrained him. Together they watched as hundreds of thousands of documents, artifacts and artworks were reduced to ashes on the night of Sept. 2. M Fire Suppression is not out to knock out and take over every other product thats out there trying to save forest, buildings, homes from fire. We are saying that if you add us to your fire elimination plan you will save forests, buildings and homes way better than what you are doing today by adding more firefighters. The world needs to embrace chemistry on this over populated planet and when you do so do it with the cleanest fire inhibitor chemistry on the planet today.